The library is a great place to go with your little ones – especially in the winter season if you live in a snowy climate like we do! Today’s idea for a mom & baby group activity is a library scavenger hunt. A library scavenger hunt is a fun indoor activity perfect for a family date activity or a mom & baby playgroup game. To create your library scavenger hunt, develop a list of items to find in the library. We also have this free Library Scavenger Hunt that you can print at home. You can include a variety of book types such as children’s books, how-to books, craft books, recipe books, magazines, etc. Print off enough copies for each player. Don’t forget to bring some pens along. After everyone meets at the library, provide everyone with a copy of the library scavenger hunt and set everyone off on the challenge. You could either set a time to meet back at a central location or have the first mom to complete all tasks come and find you to hand in the answers. This is a fun way to familiarize yourself with your local library while providing some indoor fun for your family or your mom and baby group. 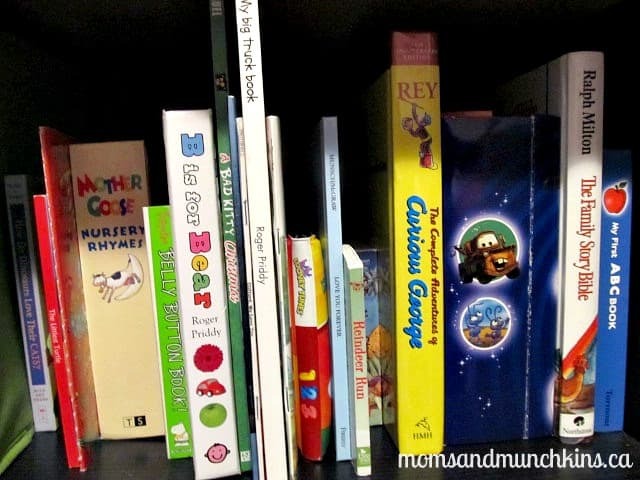 You’ll likely even find some great books to take home to enjoy for family reading time. An idea for a prize would be a book along with some puppets. Your local dollar store likely sells both for a reasonable price. At the end of your library scavenger hunt, everyone could meet for some socializing and snack time. If you call ahead, the library may have a room that you could use for your socializing time. Be sure to ask first if the library will let you bring in outside food and drinks. When is the last time you visited your local library? For more fun ideas to enjoy with your family, visit us over on Pinterest.